After a few days away from my computer, I'm back and ready to tackle the new year. So, how did I fare with my WIP in the New Year plan? So what about the other 2 projects? Sad to say, they're not done. 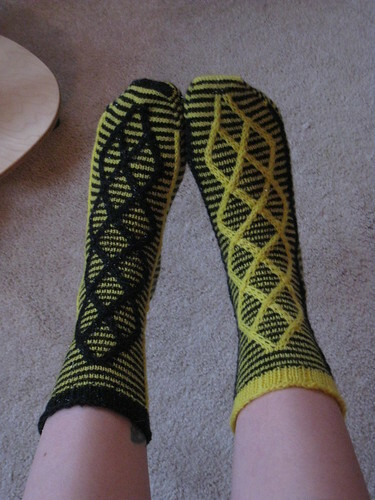 But I DID make significant progress, and am determined to finish them in January. 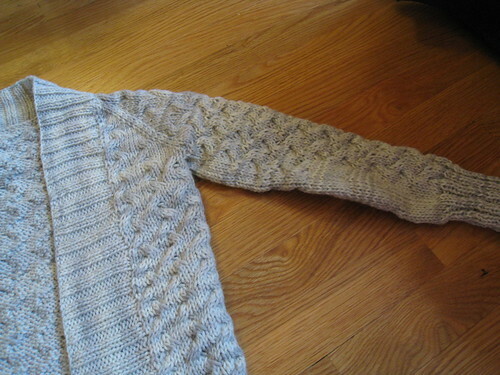 The Rocky Coast Cardigan was trickier, as I had to rip out both sleeves, and then figure out how to make them larger. 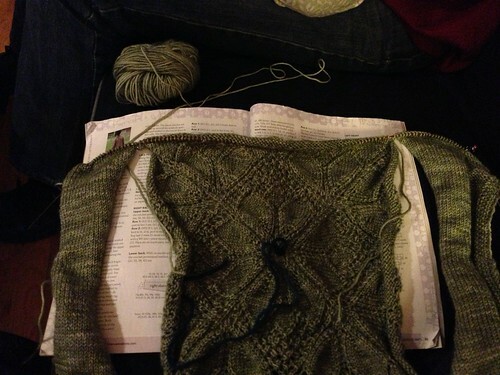 You can find errata for the pattern, addressing the sleeve problems, here. However, as this sweater is a top-down raglan, these changes only help you if you know ahead of time that the shoulders/sleeves are going to be too small. So by all means, if you're planning to knit this sweater, check the arm measurements, and adjust accordingly when you start. 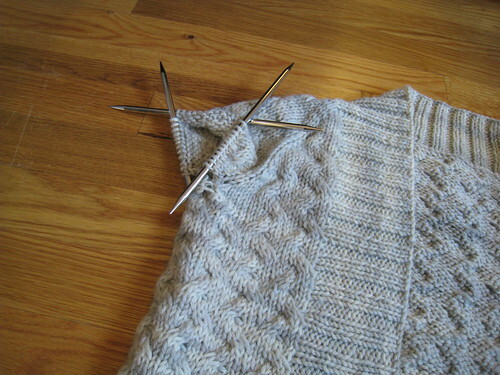 Once the sweater is done, however, you're a bit out of luck. 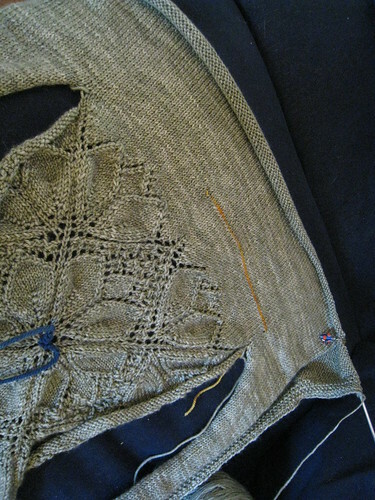 The sleeves will only unravel up to the yoke, so if you need the actual yoke to be bigger (your sweater is too tight in the shoulders), you're going to have to start over. While it's not blocked yet, it does seem to fit better. I'll be doing a separate post on how I enlarged the sleeves. Once it decides to cooperate, I'll pick it up again. 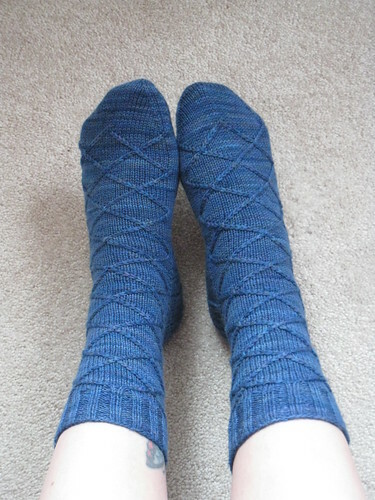 As you pick out projects to kick off the new year, don't forget, I'm running a special in my Ravelry shop until January 15: use the code NEWYEAR to get a FREE pattern, with the purchase of a pattern--BOGO!